Packet Ship with other Vessels Unsigned, ca. 1840-1850. Oil on canvas 27 ½” x 37” framed Condition: Fine condition. See full condition report. 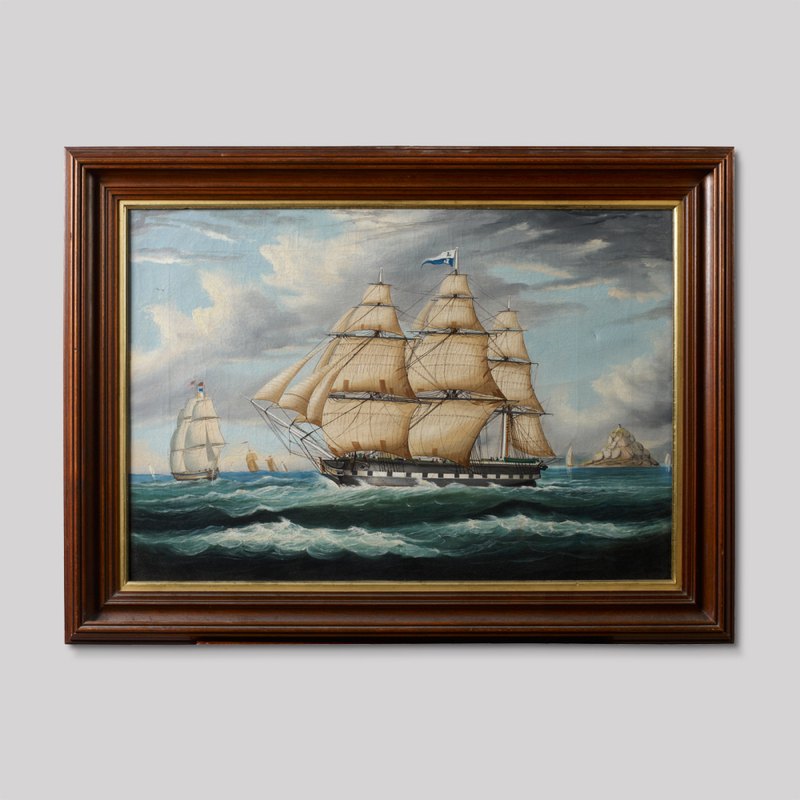 This example, Packet Ship with other Vessels, was created in the period where Chambers, on occasion, painted with more refinement. 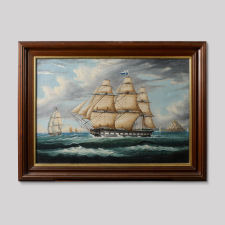 The tone or muted colors used for the sails in this painting are identical to other examples found in his marine painting of sailing vessels during this period. This example has many clear attributes of his work; the technique of painting used for the sky, waves, rigging and sails along with the preparation of the canvas and type of stretcher used.